Hmmm. What shall I try first? A rainbow across my tilt-up nose, or should I wait a few weeks and do the ‘April Fool!’ one? 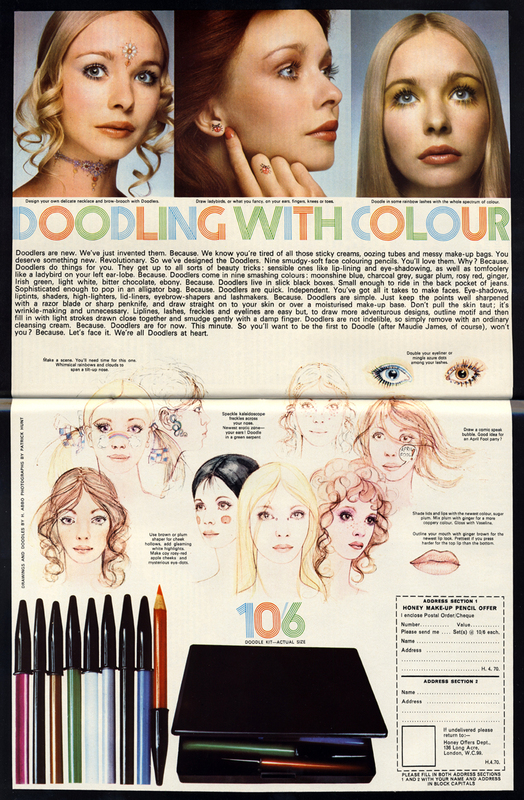 Some good make-up tips here, I particularly love the rainbow lashes, and I would now dearly love to get myself a Doodle Kit. Honey, April 1970. Illustrations by H. Abbo and photographs by Patrick Hunt. Scanned by Miss Peelpants. 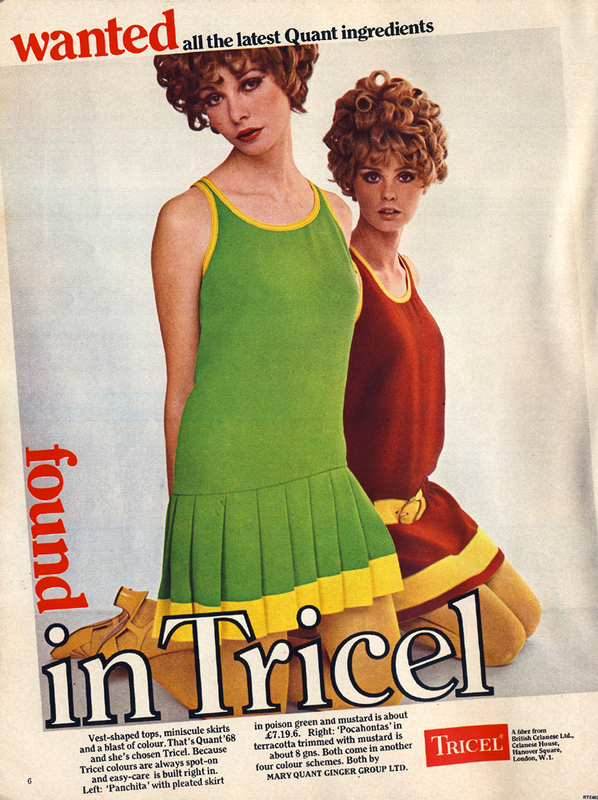 Why yes, that is Grace ‘I hardly did any modelling’ Coddington. 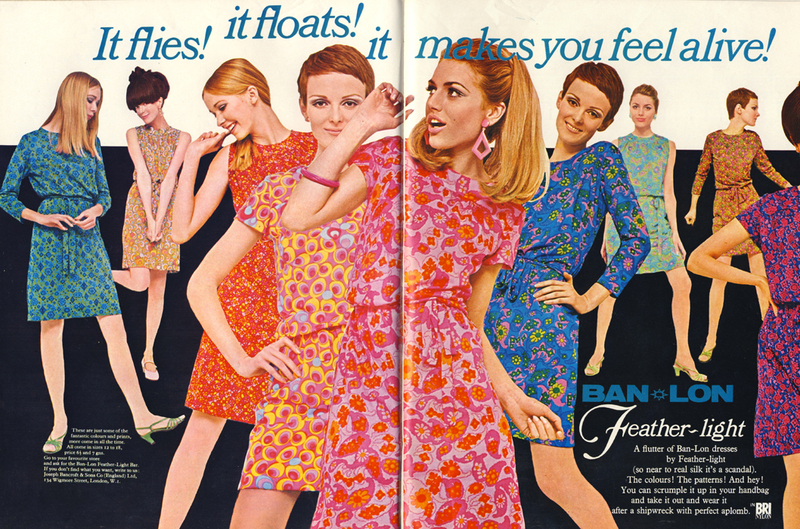 Scanned from Nova, March 1966.